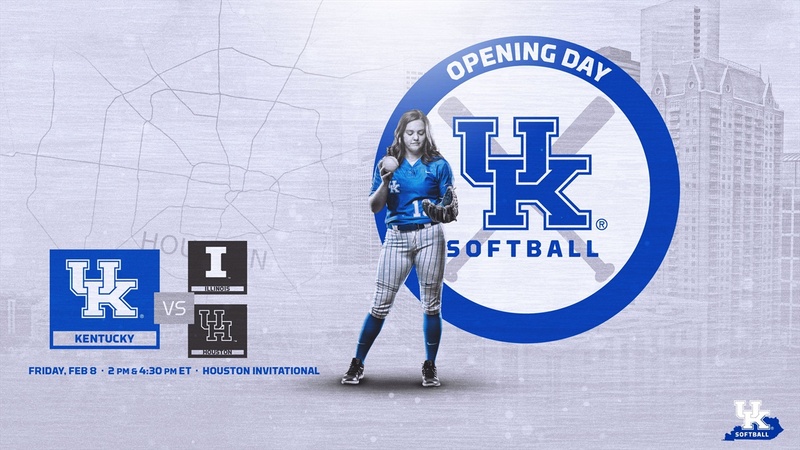 The University of Kentucky softball team opened their season in the 2019 Houston Invitational against the University of Illinois and the University of Houston. Kentucky dropped both games in close fashion; 6-5 to Illinois and 4-3 to Houston. Below we will take a look at both contests. Illinois starts the game off with a walk and a stolen base. Baalman gets out of the jam with a big strikeout, following a fly out to Rainwater in CF. Schaper singles and Cheek walks with two outs, but a Henson strikeout ends the inning. Illinois scores first on a Kentucky error. Katie Redd starts a rally, and Abbey Cheek was walked on four pitches to load the bases, but the Cats cannot score. Illinois doubles its lead to 2-0 on a home run into left center in the top of the fourth. Illinois makes it a 3-0 as an error allows a run to score. The Cats answered with a home run by Abbey Cheek, a two-run shot to left field, and Wildcats make it 3-2. Henson slaps one to the right and it scores Schaper from third to tie the game at 3. Illinois takes a 6-3 lead on back-to-back home runs after the inning began with the international tiebreak rule. Sarah Rainwater answered with a two-run homer of her own, the first of her career. The Cats pull within one but are unable to get the victory. Abbey Cheek gives Kentucky the lead on an RBI single to score Katie Reed. A no-doubter to center is blasted over the fence and Kentucky takes the lead. Kentucky’s second error of the game scores two Cougar runs tying things up at 3. Kentucky returns to the field to take on Sam Houston State at 10 a.m. ET and Houston at 5:30 p.m. ET. on Saturday.